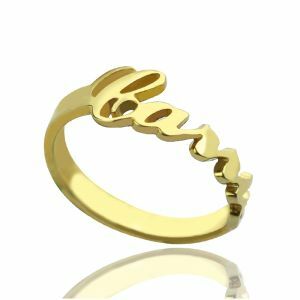 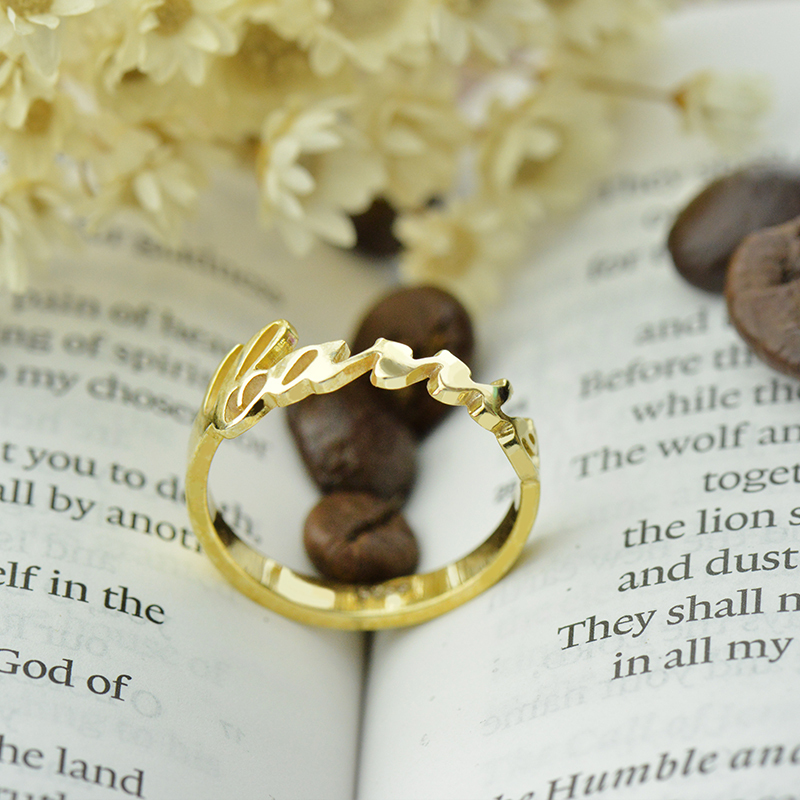 Custom Carrie Name Rings 18k Gold Plated - Perfect as a fashion statement this cut out name ring will showcase your name or name of someone you love.Our personalized Carrie style name ring is a stunning and thoughtful gift for a friend, relative, or loved one. 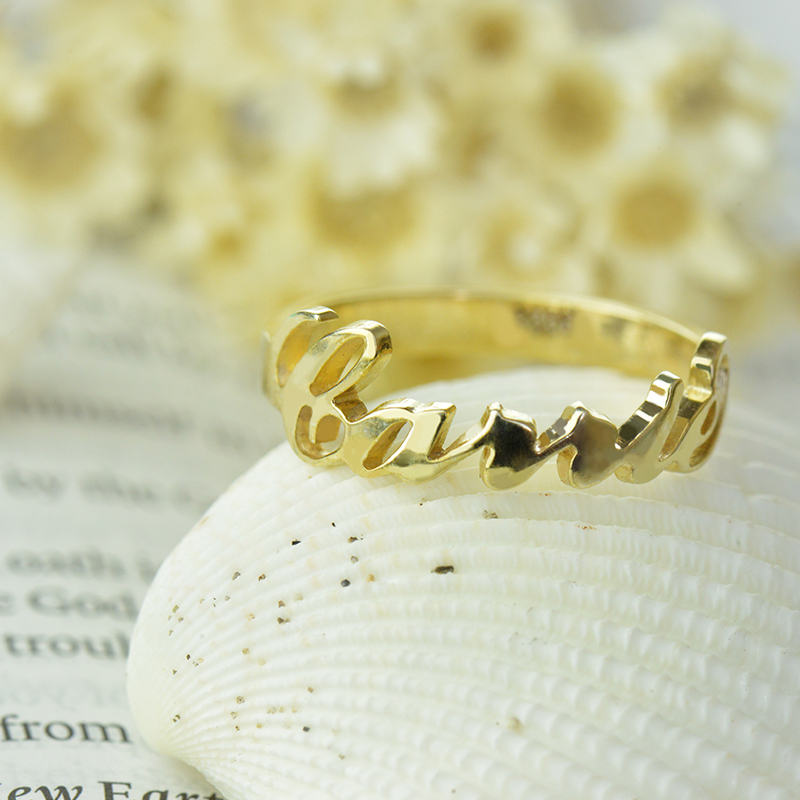 Her or his name spells out beautifully in this classy band. Artfully cut out name make a timeless jewelry statement that's hand-polished to a brilliant shine. Our ring is a fabulous gift of style for any woman in your life.